A dazzling, hot summer returns to the City of Lawrence – and Arts for Lawrence is open for all children ages six to twelve that want to amuse, explore, move or imagine. 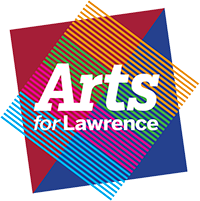 Arts for Lawrence is excited to offer four weeks of fun and creative visual and performing arts activities, providing children with engaging and creative outlets during the summer school break. Arts for Lawrence Summer Art Camp is available for all children located within the City of Lawrence and the broader Indianapolis community. Summer Art Camp staff are licensed Art & Drama teachers including graduates of Herron School of Art and Design. Performance Arts partnerships include instructors from Dance Kaleidoscope, Storytelling Arts of Indiana, and Playground Productions. The week-long camps are $125 per week, with scholarships available for children from low-income families. Arts for Lawrence’s 2017 Summer Art Camp was made possible through the Summer Youth Program Fund including The Lilly Endowment and the Christel DeHaan Family Foundation.